Welcome. The objective of the Graduation Office is to provide quality and timely service to students, staff and faculty in the processing and awarding of degrees. Its staff is dedicated in maintaining the academic integrity of the University by complying with academic and administrative policies. The Graduation Office, along with students, staff and faculty is part of a team that will offer solutions in resolving student problems as they pertain to graduation. The Graduation Office will be an active participant in the technological advances that focus on improving student services. Students will not be able to register beyond the expected graduation term. when a graduation application is filed after the corresponding deadline. Late fees must be paid before the selected term ends. The Graduation Application is used by the student to notify the university that they are ready to complete their degree program. The degree program is the combination of the degree (e.g. Bachelor of Arts, Bachelor of Science, etc. ), major(s), and minor(s). All coursework for the degree program must be completed prior to the award date (end of graduation term). The student’s record may not be altered following the awarding of the degree so it is critical that the Graduation Application be accurate at the time of filing. A Graduation Application is filed once for a degree program. The student pays a $20 application and $10 diploma fee ($30 total) at the time of filing. Once the Graduation Application is filed, it may be updated (e.g. change term, major, minor, etc.) by using the Request to Change Graduation Term form and paying a $25 late filing fee. Using your Academic Requirements report, list all incomplete graduation requirements on the Degree Completion Worksheet attached to the Graduation Application. This must include all courses you still need to complete as well as any course substitutions or other exceptions that need department approval. Make a graduation advising appointment with your major department(s) or college(s). Bring your completed Graduation Application and Degree Completion Worksheet to the appointment. The Academic advisor(s) will review the Graduation Application and Degree Completion Worksheet. If your plan appears reasonable given the outstanding requirements and the graduation term you have selected, then the advisor will sign the form indicating you have completed the consultation. The advisor's signature does not guarantee graduation. It simply affirms that you have proposed a reasonable plan to achieve degree completion by the end of the declared term. Take the completed and signed Graduation Application and Degree Completion Worksheet to the Cashier's Office (ADM 128) and pay the Application ($20) and the Diploma ($10) fees. The Cashier's Office will forward the form to the Graduation Office for processing. You must submit 1 Graduation Application and 1 Degree Completion Worksheet per degree. The Cashier's Office will collect the required fees: $20 for the application and $20 for the diplomas. You must submit 1 Graduation Application and 2 Degree Completion Worksheet (1 per major). The Cashier's Office will collect the required fees: $20 application fee and $10 diploma fee. Both majors appear on a single diploma. The Graduation Application is used by the student to notify the university that they are ready to complete their degree program. All coursework for the degree program must be completed prior to the award date (end of graduation term). The student’s record may not be altered following the awarding of the degree so it is critical that the Graduation Application be accurate at the time of filing. A Graduation Application is filed once for a degree program. The student pays a $20 application and $10 diploma fee ($30 total) at the time of filing. Once the Graduation Application is filed it may be updated (e.g. change term, major, option, etc.) by using the Request to Change Graduation Term form and paying a $25 late filing fee. Only international graduate students who graduate from universities where English is NOT the primary language of instruction must pass the Writing Proficiency UNIV 4000 or UNIV 4010 within their first 12 units. For further information, please contact the University Testing Center at 323-343-3160. Must be matriculated in order for the application to be reviewed. Using your Academic Requirements report, list all incomplete graduation requirements on the optional Degree Completion Worksheet attached to the Graduation Application. This must include all courses you still need to complete as well as any course substitutions or other exceptions that need department approval. You can check the status of your Graduation Application and the details of your remaining requirement(s) on your Academic Requirements report. Applied Request to Graduate has been recorded but not yet reviewed. In Review Request to Graduate was reviewed and graduation check has been completed. Denied Denied graduation for that term. Awarded Degree has been conferred. If your checkout status is Applied, your Graduation Application has been received and will be reviewed before the start of the declared term. An email will be sent to you when the review has been completed. When you receive this email, be sure to check your Academic Requirements report to verify the updates and review any remaining requirements. Keep your mailing address and e-mail address up-to-date so that important notices reach you! If your checkout status is In Review, your Graduation Application has been reviewed and will be reviewed again after the grades are finalized at the end of the term. If you have not already, be sure to check your Academic Requirements report. If your checkout status is Denied, the review at the end of the declared Expected Graduation Term determined that there are remaining degree requirement(s) that have not been met. Your remaining requirements are available on your Academic Requirements report. It is recommended that your work closely with your Academic Advisor. Use the Request to Change Graduation Term form to update the anticipated graduation term you originally submitted on your Graduation Application (restrictions apply). If needed, schedule an advising appointment to review and confirm a new anticipated graduation term. If your checkout status is Awarded, Congratulations! Your degree information is now posted to your transcripts and your diploma will be mailed to your address in a few weeks. Please review your remaining Academic Requirements report through GET Student Center. Courses required for the major(s). An Incomplete that is not removed before the degree is awarded will be charged as an 'F' in the grade point average calculations. Once your degree has been awarded, all coursework leading up to the degree cannot be changed for any reason. If official transcripts showing final grades are required from other institutions, these must be submitted to the Admissions Office (SA 101). Be sure to follow up with your academic advisor. Course Substitutions require the approval of the academic department. The minor filed will be noted on the student’s transcript and on the student's diploma if the individual program has been approved by the offering department/division/school and is completed at the same time as or prior to the work for the degree itself. If the minor is not completed by the time the degree is completed it will be removed from the student’s record and the degree will be awarded without it. Awarding of the degree(s) will not be delayed to facilitate the completion of a minor. The student does not need to submit a Request to Change Graduation Term form to remove an incomplete minor. Graduation means that you have completed all of your degree requirements and have been awarded the degree – this process should not be confused with attending the Commencement Ceremonies. Formal Commencement Ceremonies occur once a year at the end of the Spring Semester. Participation in ceremonies is not confirmation of an awarded degree. Students with a Fall 2018 or Winter 2019 conferred degree. Students who have applied for Graduation with an application for Spring 2019 or Summer 2019, and are projected to complete their degree requirements, including their comprehensive exams, during these terms. Students who need to take classes and/or take their comprehensive exams in Fall 2019 must submit a Graduation Application for Fall 2019, and will be eligible to participate in the 2020 Commencement Ceremonies. Students will not be able to register beyond the Expected Graduation Term. Please ensure the proper presentation of your name for the Commencement bulletin and your printed diploma. Submit updates to your name using the Bio/Demo (Name Change) form to ADM 409. Clearly indicate special marks (such as accent marks, hyphenations, capitalization, etc.) in the name section of the Graduation Application. An approved Preferred First Name may be used on a diploma and in the Commencement Program if requested by you on the graduation application, otherwise your primary (legal) name shall be used. Cal State LA recognizes that some students may wish to use a Preferred First Name other than their legal name to identify themselves. The university acknowledges that a Preferred First Name can and should be used where possible in the course of university business and education. Information for students about requesting a preferred first name is found on the University Registrar website: http://www.calstatela.edu/registrar/preferred-first-name. Please take a moment to review this page and see if using a Preferred First Name is right for you. Certificate Programs are an excellent way for individuals to obtain new skills and knowledge or to enhance their current skills. Certificate study offers professionals an accelerated and flexible pathway to explore a new career field or build upon their already existing skills for career enrichment or advancement. Most certificate programs are comprised of multiple courses, and a certificate is awarded upon successful completion of all required coursework. Similar to a second major or a minor, an Undergraduate Certificate must be completed at the same time as the bachelor’s degree. Speak now with your academic advisor about adding an Undergraduate Certificate to your Current Academic Objective. Once added, it will appear on your Academic Requirements report (CAAR) and Degree Planner. Remember to include it on your Undergraduate Graduation Application Form and pay the $25 Certificate Application Fee before the filing deadline for your graduation term. Complete the Certificate Program Application during the term you plan on completing your final requirement(s) for the certificate. Submit the $25 fee to the Cashier's Office, Admin 128. Take the paid and completed application to the department in charge of the Certificate Program for approval. The department will submit the application to the Graduation Office for processing. Teaching Credentials are different from Certificates. Please visit the Charter College of Education website for more information about teaching credentials. Grades are assigned by the faculty member and submitted to the Records Office a week after the end of final examination week. You will receive your diploma by mail after official certification that you have successfully completed all degree requirements. Please allow up to 4 weeks for our office to review ALL applicants individually. Clearly indicate special marks (such as accent marks, hyphenations, capitalization, etc.) in your name on the name section of the Graduation Application or in writing to the Graduation Office, Admin 409. This will help ensure the proper presentation of your name for your printed diploma and the commencement bulletin. The Bio/Demo (Name Change) Form is available for any updates to your name. Please submit the form to ADM 409. 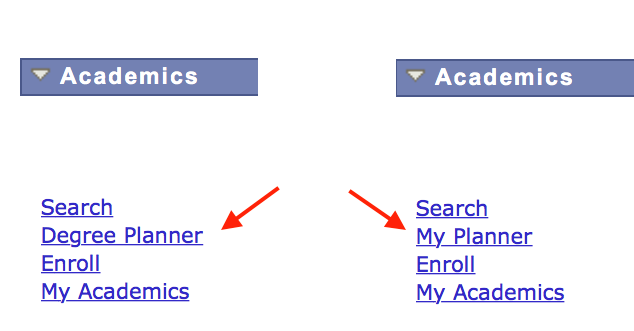 Navigate to "Campus Personal Information" on your GET profile to update your Diploma mailing address and preferred email address. Q: What will appear on your diploma? A: Your name as it appears on your official Cal State L.A. records including special marks that are clearly indicated on your Graduation Application. An approved Preferred First Name may be used on a diploma if requested by you on the graduation application, otherwise your primary (legal) name shall be used. Minor(s). An awarded minor will be posted on both the diploma and the Official Transcript. All requirements for a declared minor must be completed by the time the degree is conferred. Honors: University Honors, Departmental Honors, and/or Honors College will be posted if they have been awarded by the time the degree is conferred. Cal State LA recognizes that some students may wish to use a Preferred First Name other than their legal name to identify themselves. The university acknowledges that a Preferred First Name can and should be used where possible in the course of university business and education. Information for students about requesting a preferred first name is found on the Preferred First Name page. Please take a moment to review this page and see if using a Preferred First Name is right for you. May I request a Duplicate Diploma? Absolutely! To request a duplicate copy of the diploma, complete and submit the Duplicate Diploma Request Form along with the appropriate fee per diploma. Please allow 3 to 4 weeks turnaround time for mailing or processing. The California Secretary of State authenticates signatures on documents issued in the State of California, to be used outside the United States of America. The country of destination determines whether the authentication is an Apostille or Certification. Authentication requests can be submitted to the Sacramento Notary Public Section office. A notarization is verification that the signature(s) are authentic. Diplomas cannot be notarized on campus; they contain signatures of state officials that are not physically present. What if I need a copy of my diploma notarized? If a third party has asked you to provide a notarized copy of your diploma, an alternative type of notarization procedure is called a Copy Certification by Document Custodian. This procedure allows a person in permanent possession of an original document to sign a written declaration that a copy of it is identical to the original. Take your diploma to any Notary Public to request the notarization. The Notary will make a photocopy and, as part of the notarization, will have you sign a notarial certificate that confirms that you are the Document Custodian and that the copy is a complete and true reproduction of the original. An apostille is made by the Secretary of State, verifying the authenticity of a public official signature on a document to be used outside the United States of America. Use this link for Diploma Tracking after your degree has been awarded and posted to your Official Transcripts. All students attaining these minimum grade point averages will be awarded the corresponding honors upon conferral of degree. Once your degree has been conferred, you can obtain official transcripts that document your degree information. Go to the Forms page for more information. Employers and other agencies seeking degree verifications should contact the National Student Clearinghouse. The National Student Clearinghouse is the authorized agent for California State University, Los Angeles, for providing enrollment and degree verifications to third parties. Current students may use the self-service application available through the MyCalStateLA portal to print their own enrollment history, verifications, check loan deferments sent to your lenders, and link to real-time information on student loans. To request a duplicate copy of the diploma, complete and submit the Duplicate Diploma Request Form along with the appropriate fee per diploma. Please allow 3 to 4 weeks turnaround time for mailing or processing.